Hello! Today I'm back with a look at iZ Beauty of London's brand new Crystal Vision Collection. 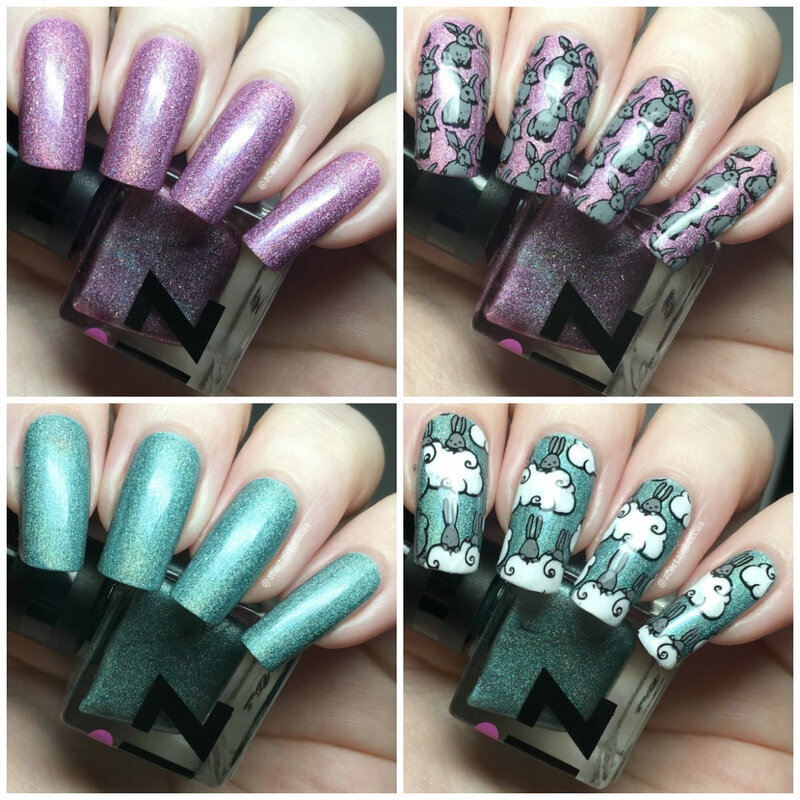 This collection consists of four beautiful crystal inspired shades, two of which I was kindly sent to swatch. 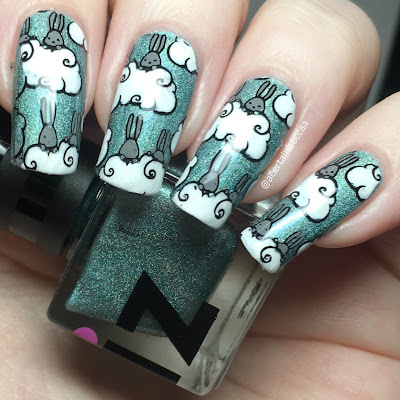 I've also done some nail art over each polish, which is long overdue - I think it's genuinely only the second time I've done proper nail art this year! 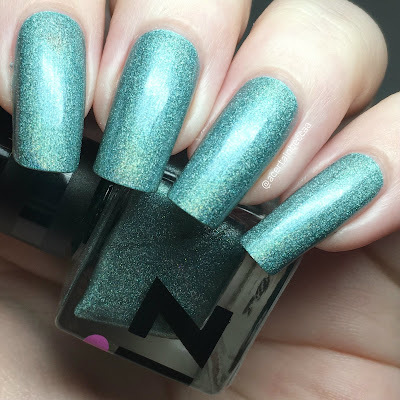 Read on for my swatches, nail art, and more info! 'Amethyst Angel' is a pinky purple lavender holographic. The formula is very smooth and easy to apply. This does start off slightly sheer but builds up well. I added a quick third coat on my nails to make sure I had full coverage, although those with shorter nails should easily be able to get away with two. Below is three coats with topcoat. 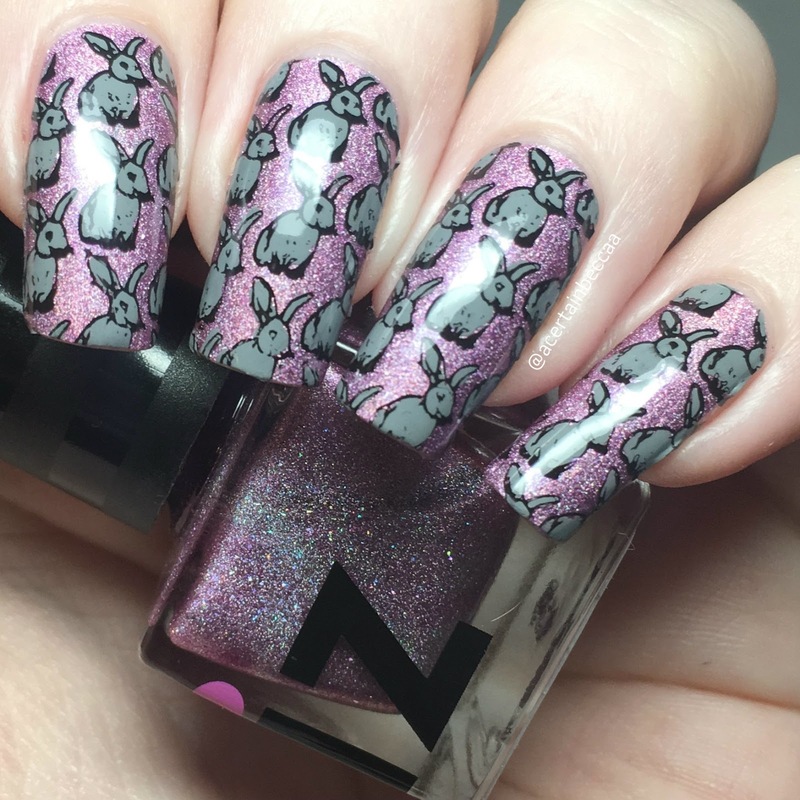 With Spring finally beginning to arrive, and Easter coming this weekend, I couldn't resist adding some bunny rabbits! 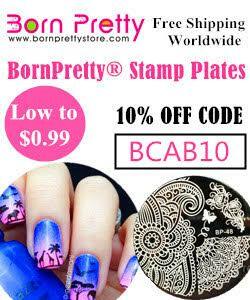 I made decals using the bottom left pattern on Sugar Bubbles plate SB 044, stamping with Hit The Bottle 'As Black as Night', and colouring with Painted Polish 'Stamped in Clay'. 'Eternally Emerald' is a greeny blue holographic. The formula is super smooth and easy to apply. It is very similar to 'Amethyst Angel'. It starts off slightly sheer but builds up well. I did add a third coat just to make sure all of my nails were fully opaque, but you coud easily leave it at two. Below is three coats with topcoat. Again, I just couldn't resist a Springy, Eastery vibe - so here's more bunnies! I made more decals, this time using Creative Shop plate 64, stamping with Hit the Bottle 'As Black As Night', and colouring with Painted Polish 'Stamped in Clay' and NCLA 'Ask the Magic 8 Ball'. What do you think? I love both polishes! Those of you who read my posts regularly will know I'm a fan of iZ Beauty, so I couldn't be more excited that they have released holographics. That combined with the spring colour palette won me over straight away. I might have to sneak the two remaining shades into my collection. The full Crystal Vision Collection is available on the iZ Beauty of London website here. Each bottle is 6ml and retails for £6.